A chronicled look at the criminal activity and many sides of Colombian drug lord Pablo Escobar. Intriguing, like watching the 2005 documentary Cocaine episodes 1,2 and 3 Viva la Coca, An Honest Citizen, Leo and Ze respectively mixed with Scarface. With some genuine photos and footage of the day briefly inserted into episodes you get reminded that what you’re watching is a good rendition of what happened. As the story unfolds you get a sense of the many viewpoints and different levels of both the government and Narcos. The series depicts the Colombian drug cartels power and gives a sense of its reach across the globe. There are great performances from a relatively unknown but stellar cast including Wagner Moura (Elite Squad) as Pablo Escobar. Boyd Holbrook (Run All Night) whose resemblance to the real Steve Murphy is uncanny and Pedro Pascal (Game of Thrones) Narcos exceed expectations. On the backdrop of the finely recreated late 70s, 80s and 90s it’s violent, tension filled and fuelled with emotion. While Miami Vice was fiction and ripping stories from the headlines it showed the effects of the drugs on the streets. This shows semi-factually to an extent through dramatisation how they got there and just how characters are a shade of grey. While the accents may not be perfect each fast paced episode is well written, has great production values and with a shot on location feel it gives the proceedings weight. It’s certainly one to watch driven by its true life subject matter and an inevitable second series. 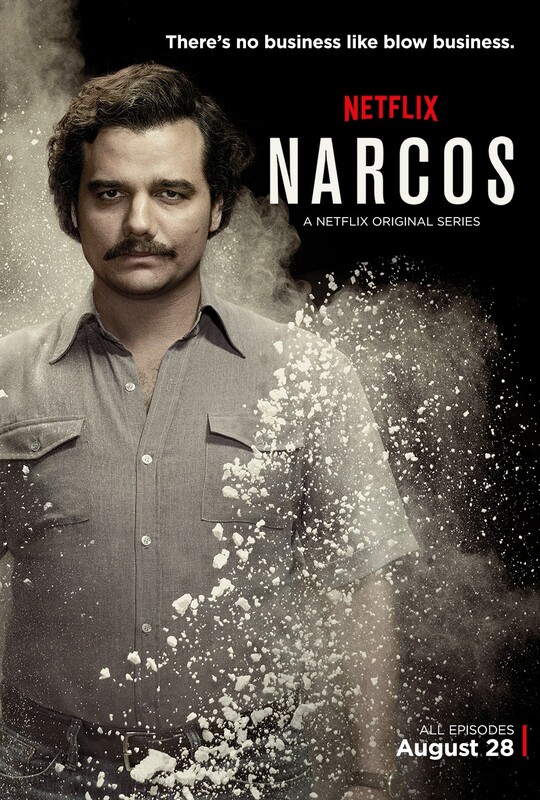 The second season, spends much more time with Escobar, is more of a manhunt as Pablo’s empire falls apart and there is less of Murphy’s narration and the DEA. You see the effect on the families and anyone involved. It has the same on location feel and production values remain as it remains 90’s setting to a predestined conclusion. The third series follows the Cali cartel and is of the same high quality set on the backdrop of the 90’s Clinton administration. Violence, corruption aplenty as two new DEA agents are assisted by the Cali family head of security. Emotional at times season 3 ticks all the boxes. By default Pablo is not present and actor Boyd Holbrook doesn’t return however Pedro Pascal does (in a fictional hybrid of real life people) as Pena once again. Packed with faces from season 1 and 2 the acting and production is first rate, notable are Pepe Rapazote in an intense small role as Jose and Edward James Olmos cameos. The season closes opening the way for a Mexican set 4th season. Highly recommend. 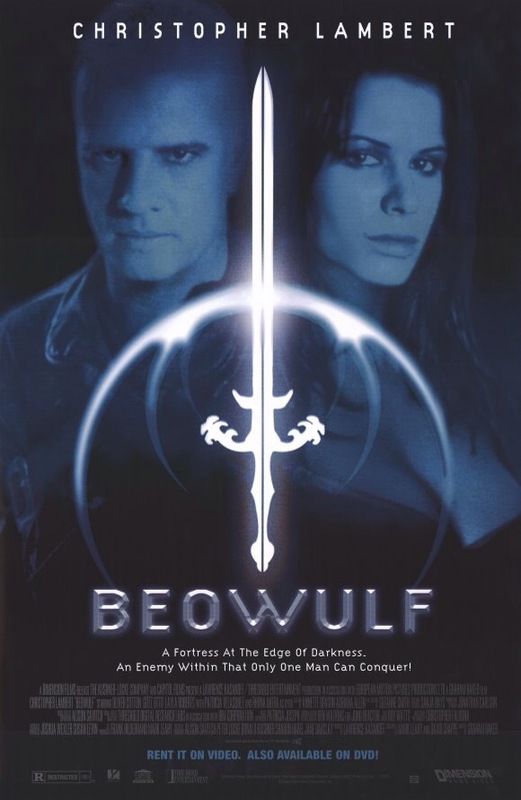 Beowulf (1999) not that one, the alternative. In a besieged land, Beowulf, a stranger is drawn to the darkness and must battle against a creature named Grendel and his vengeance seeking mother. This is an odd mixed medieval, scifi and steam punk version of the 6th Century poem Beowulf. It has a pumping score and soundtrack with great visuals and plenty of over the top dialogue and action. Despite a made TV feel director Graham Baker offers leather, weapons, castles, dungeons and a practical rubber suit Grendel hidden behind some CGI reminiscent Predator mixed with Alien. With the prowess of Filmation’s He-Man Christopher Lambert is Beowulf, sporting a Sting-like bleached hairdo. Corset squeezed Rhona Mitra is stunning as Kyra although given little to do. Model Layla Roberts shows up as the Grendel’s mother and a succubus to effectively woo Oliver Cotton who plays Hrothgar. Former Bond bad guy Götz Otto also features and The Mummy’s Patricia Velasquez briefly appears as Pendra. The cast wrestle with the script and for unexplained reasons the voices of the main cast have been re-dubbed (with their very own voices) which can be distracting as the timing of the loop is slightly off like an old Kung fu film. Even though made prior to The Mummy Returns the CGI Scorpion King looking monster in the closing act isn’t as convincing as Lambert’s stunt double’s Rutger Hauer looking hair and somersaults.It hasn’t budget or the finesse of The 13th Warrior (1999) or Outlander (2008) and lacks the seriousness of Beowulf and the Grendel (2005) but it’s far more fun than the lustre 2007 3D Beowulf version. Watch it if only for the costumes and Mitra. Three gunslingers compete to find a fortune in a buried Confederate gold amidst the violent chaos of the American Civil War. One of the greatest Westerns ever made. While Spaghetti Western For a Few Dollars more is debatably the better tale, The Good the Bad and the Ugly is grander in scale and scope (thanks to director of photography Tonino Delli Colli) with the main characters even getting caught up in the New Mexico Campaign of 1862 complete with war camps, prisoners and an exploding bridge. Clint Eastwood returns to the genre as protagonist Blondie (aka The Man with No Name) along with Lee Van Cleef who this time plays Angel Eyes (The Bad). Both Eastwood and Cleef are outstanding with Sergio Leone’s 1966 offering benefiting from the addition of Eli Wallach who delivers a sterling and memorable performance as Tuco Ramirez (The Ugly). The characters written by Age & Scarpelli, Luciano Vincenzoni and Leone (with additional material provided by an uncredited Sergio Donati) are well defined archetypes which are constructed perfectly. The Good the Bad and the Ugly has one of the greatest crescendo building endings ever and the film is complete with Leone’s perfectionist directorial trademarks. 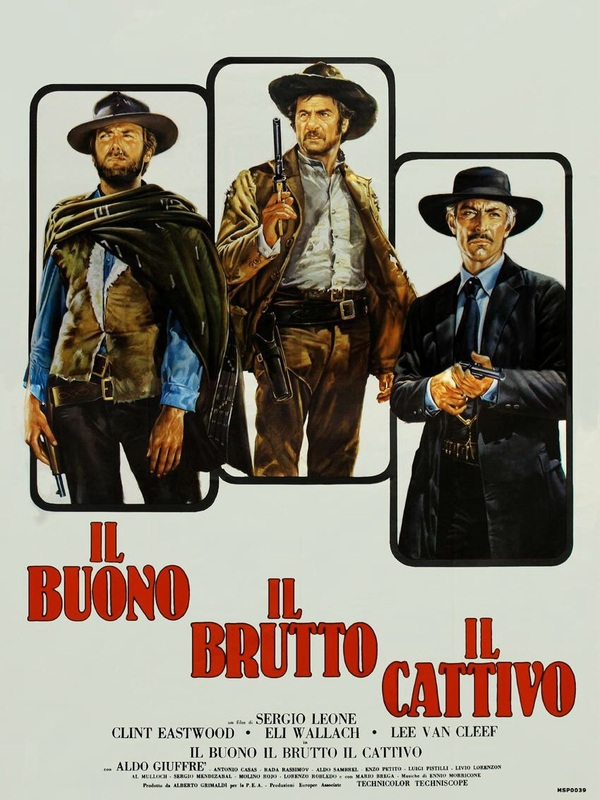 Ennio Morricone’s iconic theme completes the package as the score complements the three players double crossing each other throughout to the closing Mexican Standoff. You can feel the heat and taste the dust in this highly influential recommended Western.